In recent days, multiple areas in California have been ravaged by fast-moving, wind-driven wildfires. 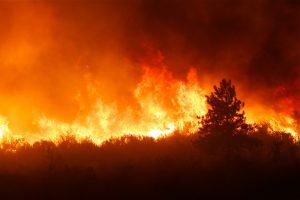 According to the most current statistics from Cal Fire, five fires in the state have yet to be 100% contained, over 244,000 acres have been burned, at least 10,756 structures (including homes and commercial buildings) have been destroyed and 59 people have died. These devastating losses have left thousands of people unable to generate any kind of income. On Wednesday, November 14, 2018, the California Employment Development Department (EDD) published a press release announcing Disaster Unemployment Assistance (DUA) is now available for those affected by fires in Butte, Ventura and Los Angeles Counties. Workers, business owners and self-employed individuals who lost their jobs or businesses, or had their work hours substantially reduced as a result of the Camp Fire in Butte County, Hill Fire in Ventura County and Woolsey Fire in Ventura and Los Angeles counties are eligible to receive Federal Disaster Unemployment Assistance (DUA) benefits. Affected individuals are encouraged to apply for DUA through the California Employment Development Department (EDD) as soon as possible. EDD will first check to see if applicants can qualify for state unemployment benefits before accepting a DUA claim. The deadline for filing claims is December 14, 2018. After this date, the claim will not be considered timely and will not be honored. How can claims be filed? Claims are being taken by the EDD via their UI Online system or by calling 1 (800) 300-5616 (English) between 8:00 am and 12:00 pm Monday through Friday. Phone numbers for claimants who need assistance in another language can be found here. DUA benefits are only payable during the Disaster Assistance Period (DAP) not to exceed 26 weeks. More information on the DUA program can be found in the EDD’s press release and on the U.S. Department of Labor’s DUA page.